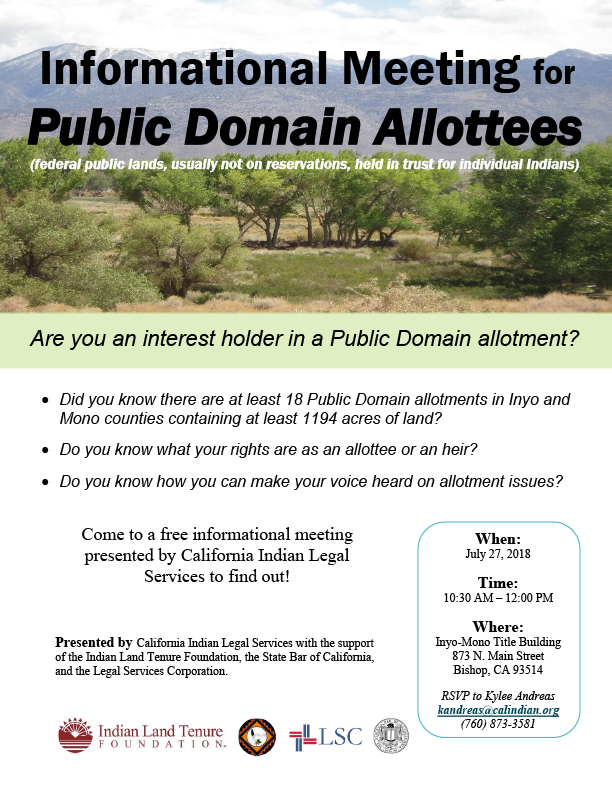 Are you an interest holder in a Public Domain allotment? Come to a free informational meeting presented by California Indian Legal Services to find out!  Did you know there are at least 18 Public Domain allotments in Inyo and Mono counties containing at least 1194 acres of land?  Do you know what your rights are as an allottee or an heir?  Do you know how you can make your voice heard on allotment issues? Presented by California Indian Legal Services with the support of the Indian Land Tenure Foundation, the State Bar of California, and the Legal Services Corporation.